ZEXX NZ LTD IS DRIVEN BY OUR DESIRE TO PROVIDE A HEALTHIER AND TASTIER SLUSHY AND SMOOTHIE PRODUCT RANGE TO THE ASIA PACIFIC MARKET. Zexx NZ Ltd was established in June 2006 and is 100% New Zealand owned. We wholesale top quality healthy (low sugar, low fat, real fruit) frozen fruit juice products to retailers throughout New Zealand, Pacific Islands, Australia and Hong Kong in the retail, event and party hire market sectors. Zexx NZ Ltd prides itself in providing excellent service and support to our customers. 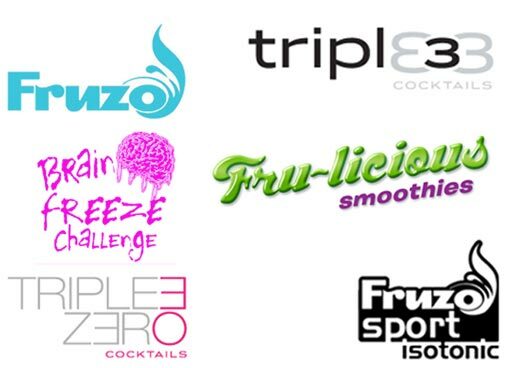 Zexx NZ Ltd currently has developed the following Granita (slushy drink) brands – Fruzo, Fruzo Sport, Triple 3, Triple 3 Zero, Fru-licious and Brain Freeze. Zexx NZ products are manufactured in New Zealand making short orders and quick delivery times achievable and thus negating the need for our clients to maintain significant stock levels. All of Zexx NZ Ltd products are dispensed via Grantia (slushy) machines that pours product to a standard consistency. This dispensing equipment is the best available in terms of its reliability, ease of operation and cleaning. Zexx NZ Ltd supplies and maintains the dispensing equipment to our clients. Fruzo and Triple 3 products are supplied in concentrate form as an all inclusive liquid reducing on site preparation time to a minimum. Fruzo and Triple 3 products are very quick to serve providing high levels of retailer and customer satisfaction. Zexx NZ Ltd currently has over 200 sites in New Zealand with 70% of these being in schools. Our frozen fruit drink is dispensed in schools and registered as a sometimes product under the Food and Beverage Classification System. Because of it’s healthy properties and fantastic taste it is very well received by Principal’s/Board of Trustees and students alike. Zexx NZ Ltd offers a “one stop shop” in terms of supplying Triple 3 cocktails, Fruzo Frozen Fruit Juices and Fruzo Sport – Isotonic dispensing machinery and service we can custom develop slushy products under our Fruzo or Triple 3 brands to suit a customer’s flavour and or colour requirements. This is achievable due to our product development and production facilities being located in New Zealand. I have only had the best of service from this company. Fruzo is a Fun Healthy product that the Teachers and the Children really enjoy. Triple 3 Cocktails were the life of our recent party. We wanted to do something different and WOW what a hit. Fun Fun Fun! Thanks Guys. It is our pleasure to state that we have been selling the range of Fruzo Fruit Slushies through the college’s student canteen for the last 18 months the students love them and the service from Mike our local distributor has been fantastic, many thanks to the Fruzo team. Napier Girls High has sold Fruzo in our canteen from the beginning 2010, Fruzo has been a top selling product with sales exceeding expectations – flavour variety is most important and the selection available has been great – recommend to other canteens. Cheers. Zexx NZ Ltd was established in June 2006 and is 100% New Zealand owned. Zexx NZ Ltd wholesales top quality healthy (low sugar, low fat, real fruit) frozen fruit juice products to retailers throughout New Zealand, Pacific Islands, Australia and Hong Kong in the retail, event and party hire market sectors. Zexx NZ Ltd prides itself in providing excellent service and support to our customers. © Copyright 2014 by Vida Loeb. All Rights Reserved.